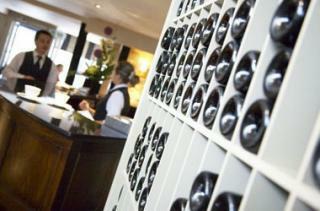 Maison Bleue is a light filled space with a relaxed and welcoming ambiance serving exceptional French Modern cuisine. The stylish private dining room is ideal for family celebrations, corporate functions and business lunches. Seating up to 18 people with an elegant feature mirror, subtle paint tones and contemporary lighting. We run special events throughout the year, from exclusive Wine Tasting Dinners to luxury Fizz and Diamond evenings showcasing local award winning Michael Birnie’s Platinum designs. Find out whats on here. Get in touch to discuss your event by calling 01284 760623 or info@maisonbleue.co.uk. Formal Hire By Gerald Boughton is the areas only dedicated Mens Formal Wear hire specialist, offering a vast range of outfits.